The wedding season is on in full swing. Deepika and Ranveer, Priyanka and Nick Jonas, we haven’t quite gotten over their shaadi festivities and now? 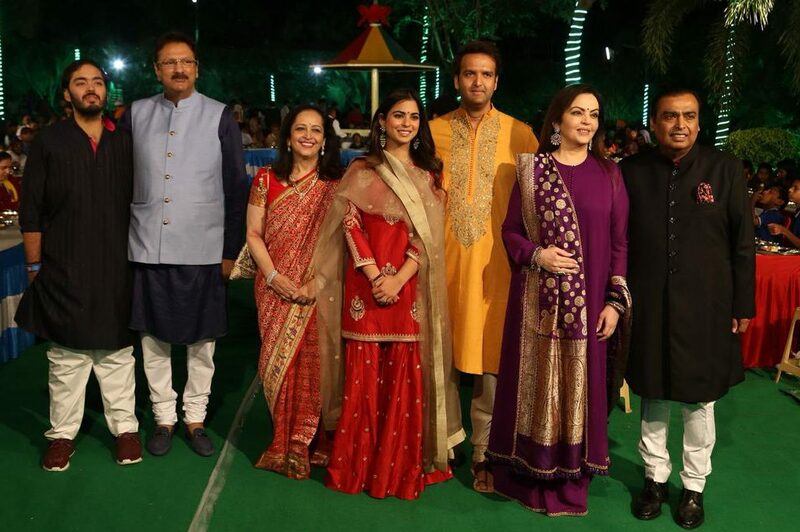 It’s time for a big fat Ambani wedding. Just one week to go until our feeds are lit with love! 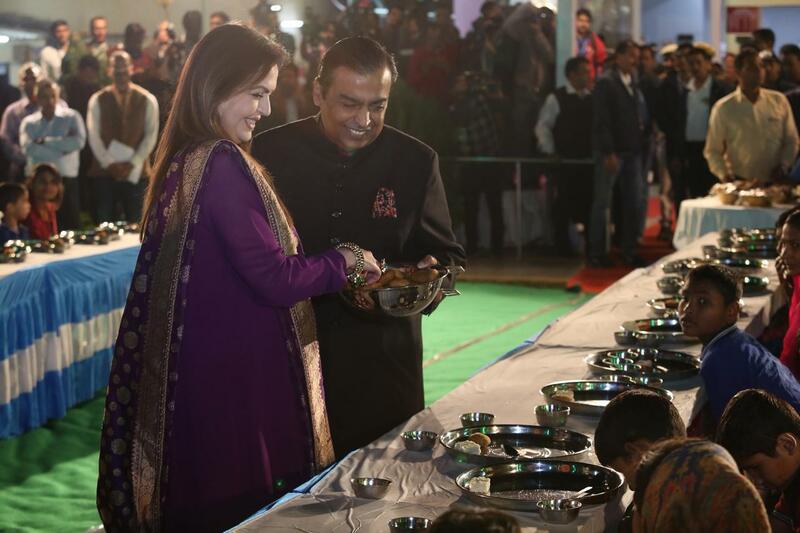 To push a start to another wedding in the Bollywood shaadi season Ambanis seek Udaipur’s blessings for their Daughter, Isha Ambani’s wedding to Anand Piramal through a special ‘Anna Seva’ -serving food to 5100 people 3 times a day from 7-10 December! 7th December 2018: As a mark of respect and gratitude to the city of Udaipur, and to seek their blessings for the upcoming wedding of their daughter, the family has commenced a special “Anna Seva” – taking up the auspicious task of feeding 5100 people (majority of them with special abilities) three times everyday from 7th to 10th December, to coincide with the pre-wedding functions of Isha Ambani and Anand Piramal on 8th & 9th December. 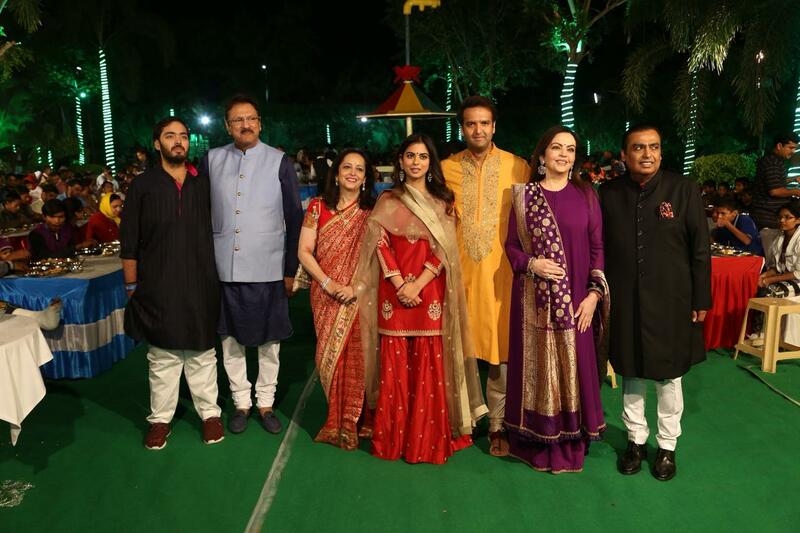 Family members, including Mukesh and Nita Ambani, Ajay and Swati Piramal, Isha and Anand were present at this Anna Seva function, serving people and interacting with them. The Anna Seva functions will continue for four days, from 7th to 10th December and will be performed three times a day at the Narayan Seva Sansthan, Udaipur. In addition, the pre-wedding festivities will also see the setting up of a specially curated exhibit called the Swadesh Bazaar that will showcase 108 traditoinal Indian Crafts and art forms from all different regions of the country for the national and international guests. Presenting the art will be master craftsmen and craftswomen themselves, who are keeping these traditional arts alive. 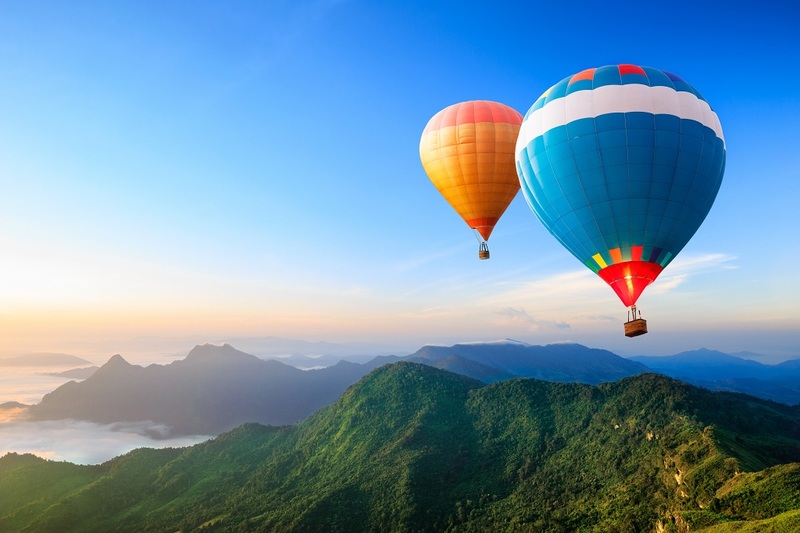 Creating an interesting experience as also an immersion into the India’s cultural heritage. Swadesh Bazaar is a unique concept to encourage the craftsmanship of traditional Indian artisans, especially for a lot of indigenous crafts that need conservation and revival and have been supported by Reliance Foundation over the years. The Foundation aims to broaden and deepen its support to the goals of Swadesh Bazaar on a bigger and more sustainable scale in future. From the rich Kanjeevaram, exclusive Patola, intricate Chikankari to fine Bandhani, exhibits cover over 30 types of textiles and weaves. Depicting folktales and local legends, artists will showcase ancient painting forms like Gond, Madhubani, Phad, Warli and Thangka. Weavers, potters and sculptures from all around the country will make this a mega celebration of art and culture. This unique exhibit has not just provided livelihoods to thousands of such artisans, but also giving an opportunity to showcase their rare works from every nook and corner of India, for people’s interest, appreciation and support. How considerate and noble of the Ambanis.